Every step Quaken takes shakes the place...and some of those vibrations can even move your heart. Awwwwww! Yo-kai Medallium Bio: Every step Quaken takes shakes the place...and some of those vibrations can even move your heart. Awwwwww! A pale red lion with pale yellow markings randomly placed. On it's forehead is a white mark, while it's flaming mane is a mixture of tomato and dark brown. Pale orange flames seep from each eye. It wears a pale grey top with a black belt and white lapel. He is a darker version of Blazion. Quaken is an alteration of quaking. 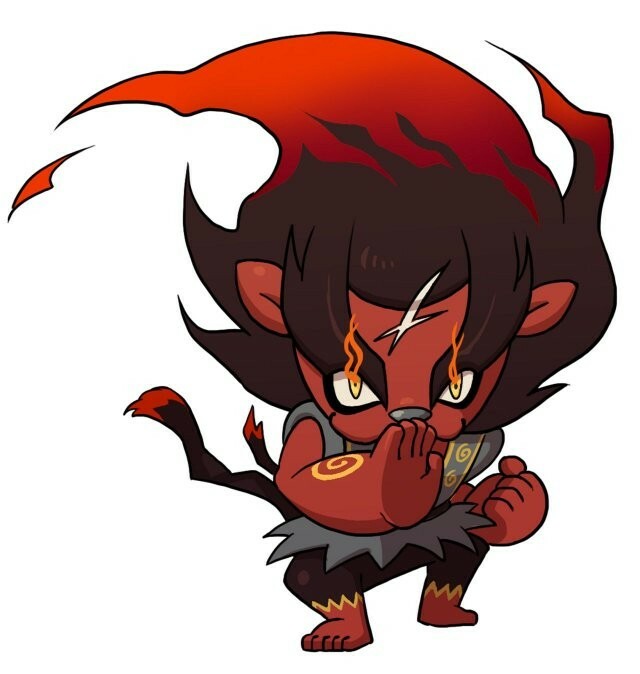 "Guraguraion" combines gura gura (the Japanese onomatopoeia of shaking/trembling) and lion.